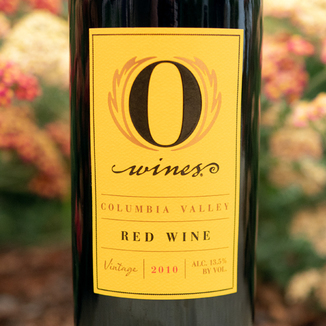 Today’s O Wines 2010 Columbia Valley Red Wine wins this year’s WIA Award for Top Washington State Value Wine of the Year. This wine was made by Washington wine powerhouse, Chateau Ste. Michelle. At today’s price or just $9.99, this wine really delivers. There is a ton of great fruit here, with great balance on the nose and on the palate. Stock up on this one… While you can! 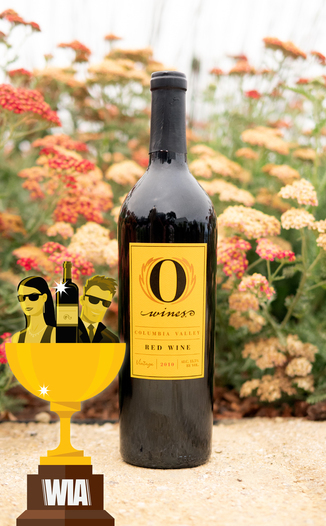 The O Wines label was created to fund college scholarships “for low income, capable young women - so they can achieve their greatest potential through education..” This is a need-based scholarship that was established by the founders of O Wines, Stacy Lill and Kathy Johanson. The brand was acquired by Chateau Ste. Michelle in 2012. The winery continues to donate a portion of proceeds to fund scholarships. About today’s wine: In the glass, you’ll find a wine that is an inky dark garnet, almost black, at the center with a thin lip of ruby red around the outermost edge. The nose is deep and rich with mature fruit tones of a well-aged wine with aromas of leather, cacao, red, and black plum compote, mulberry, and almond. On the palate, the wine offers Washington-style rich nuance with walnut, baking spices, plum fruit leather, subtle coconut, and sun-dried tomato. Well-balanced and well-rounded, especially for the price, this wine covers all the bases and delivers a solid drinking experience from start to finish. This bread and butter wine is perfect for a bread and butter meal: Go with momma’s meatloaf with mashed potatoes and gravy for a soul-satisfying Saturday night family meal. The Columbia Valley AVA (American Viticultural Area) lies in the Columbia River Plateau, and runs through much of central and southern Washington State, with a small section crossing into the neighboring state of Oregon. The Columbia Valley AVA is the largest wine region in the state of Washington, and it includes over 11,000,000 acres, of which over 40,000 acres are planted in wine grape vineyards. The Columbia Valley AVA includes 99% of the total vineyard area planted in the state of Washington. 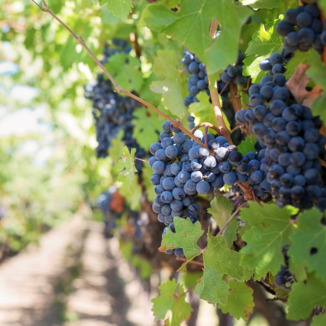 Grapes grown there include Cabernet Sauvignon, Merlot, Chardonnay, Riesling, Syrah, Sauvignon Blanc, and Pinot Gris. The unique climates of the area allow the Columbia Valley to produce wines that are very fruit-forward, like California wines, but which also embody some of the structure and balance of European wines. Inky dark garnet, almost black, at the the center with a thin lip of ruby red around the outermost edge. Well-aged aromas of leather, cacao, red and black plum compote, mulberry, and almond. Walnut, baking spices, plum fruit leather, subtle coconut, and sun-dried tomato. Well-balanced and well-rounded, especially for the price, this wine covers all the bases and delivers a solid drinking experience from start to finish. Go with momma’s meatloaf with mashed potatoes and gravy for soul-satisfying Saturday night family meal.